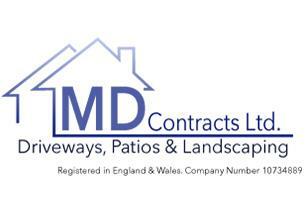 MD Contracts Ltd - Driveways/Patios/Paths based in Liston, Suffolk. MD Contracts Limited is a family-run company with over 50 years combined experience in groundworks, driveways, patios and landscaping. Transforming your driveway, patio or garden. With an eye for detail and a 'can do' attitude we provide a refreshing approach in creating a special results. Experts in resin, natural stone and block paving for driveways and patios. Covering North Essex and South Suffolk. No upfront deposits taken. Payment only due on completion when we have finished and you are happy with the results. All workmanship guaranteed for a minimum of 5 years. An eye for detail with all work closely supervised. Calls or messages are always welcome. We are always happy to provide a free site visit and a no obligation quotation. North Essex and South Suffolk. Including: Sudbury, Colchester, Braintree, Halstead, Ipswich, Bury st Edmunds, West Mersea, Stowmarket, Hadleigh.